The country of Maya ruins, Mezcal and spicy Tacos is incredible. 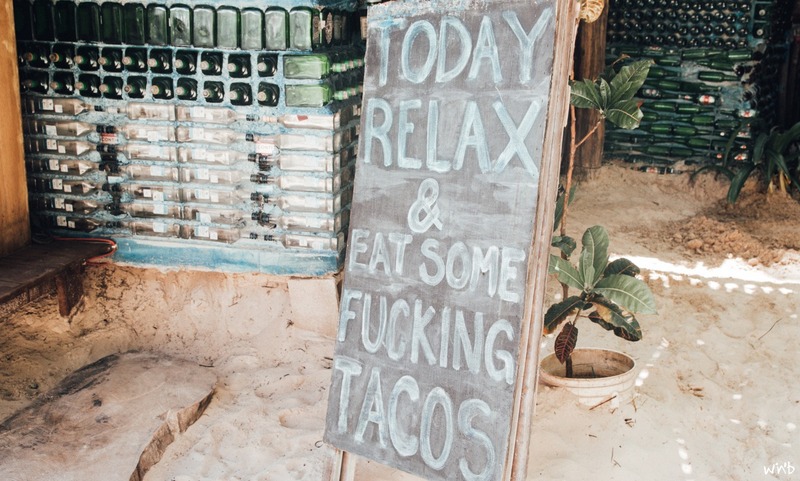 We ate delicious tacos stuffed with fresh avocado, surfed the waves in Puerto Escondido and explored the country with its spanish-speaking, indigenous inhabitants while Backpacking in Mexico. You just booked the flights to Mexico and now you are looking for the most important information? How safe is Mexico? How much is a room per night on average? And do I need to be aware something when I enter the country? All our knowledge, our impressions, the most exciting moments of our six weeks Backpacking in Mexico will be described in the following article. Beyond that we also bundled handy tips and tricks for your time abroad. As Julian needed to work in Mexico City for a couple of days, we had a lot of time to explore the massive capital. From what we’ve heard we expected CMDX (this is how locals call it, and stands for “Ciudad de Mexico”) to be ugly, polluted, unsafe, so overall a waste of time. We couldn’t agree less. After we finished all preparations and arrived in the city with 22 million inhabitants our lovely AirBnB host warmly welcomed us and brought us in the district we can strongly recommend to live in “La Condesa”. This beautiful area is full of cute cafés, avenues and local taco vendors. Does your trip also start in Mexico City? Then we wrote a great travel guide here. Six weeks Mexico. First you might think you have endless time to explore every corner in the country. Unfortunately this is wrong, as you most likely forget – as we did – how gigantic the country of mezcal and tacos is. Our tip here: Don’t plan too much in a short time. Otherwise long distances make your trip hectic and less enjoyable. In this map you can see exactly which route we ended up taking. After twelve days Mexico City the Pacific was calling. To be more precise, Puerto Escondido was supposed to be our home in the next couple of days. One hour after stepping in the plane we have arrived in Puerto already. 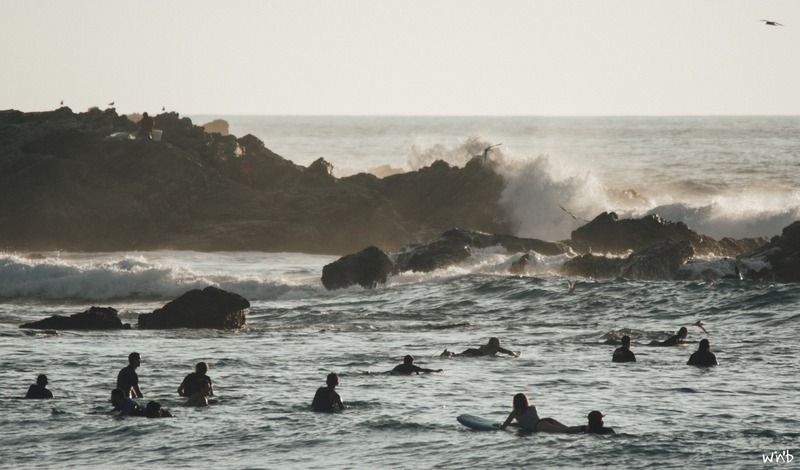 For most of the surfers Puerto Escondido will ring a bell. If not, think of the ‘Mexican Pipeline’, one of the fastest and most dangerous waves in the world where the Pacific hits the coast line with all its power. But one after the other. Puerto Escondido is a small town located on Mexico’s East Coast. Neither the city nor the main beach itself is extraordinarily beautiful but on the most southern point of the street a sandy road appears. This is where “La Punta” is situated. In total we spent 1.5 weeks in Puerto Escondido. Julian paddled countless waves, I enjoyed a couple of handful of fresh Smoothies, we strolled through the sandy road, bought fresh avocados and prepared our own lunch and enjoyed one or two Mezcal at a campfire. Indeed, we were sad to leave this picturesque place on earth. But hey, we left Puerto for good, next stop the colonial city of Oaxaca. We reached Oaxaca by plane via Mexico City. Looking at the map you might think “Are you kidding me?”. No we aren’t – we decided to take a cheap flight as we have so many horror stories about the bus ride from Puerto to Oaxaca. The extremely curvy way with many serpentines let many people vomit and the people kept talking about the ridiculously fast driver who seem to be rushed. In the end, I guess, it wouldn’t have been that bad. When we found a comparatively cheap flight we just decided for the more relaxed alternative. In the following days we visited the local food markets, botanical gardens and the beautiful buildings. Our highlight in Oaxaca: A tour through a Mezcal fabrication as we wanted to know how this famous liquor is made. After that our journey continued.. Hola San Cristóbal de Las Casas. 12 hours night bus. Sounds exhausting but actually is significantly more relaxed as it sounds. Not only relaxed but it is also very comfortable in the busses of the Mexican bus company ADO. Early in the morning we arrived at the bus station of the hip, colorful city in mid of mountains in Chiapas. Our home for the next days was supposed to be a “rustic” garden house which rather turned out to be a dirty dog’s shed in the garden. It became pretty clear that we don’t stay here and reached out to AirBnB claiming a refund. Ten minutes after the first tweet we received a refund and found something very nice for less money. So we could start to enjoy our time in San Cristobal. You can participate in a great walking tour through the city free of charge. Here you will meet many backpackers and other travellers from around the world while getting to see some really cool spots in the city by a local. From San Cristobal you can also do day tours to Palenque and Maya tribes close by. Just try and feel the city vibe, you will love it. The Caribbean is calling. To reach the tiny island at the Yucatan peninsula you need to travel across the country. Sitting again for 12 hours straight in the bus wasn’t what we were eager to do, so we checked the flights. Luckily, we found extremely cheap flights for around $30 and landed after 45 minutes in Cancun. From here we took a bus to Chiquila and took jumped here on the ferry to Isla Holbox, Mexicos hidden gem. Tip: Don’t forget to have at least a handful of tacos at “Taco Gordos”. And don’t forget to rent bikes. Once in Mexico you also need to see Chichén Itzá (if you didn’t see Palenque). Since 1988 the Mayan ruin is UNESCO world heritage and since 2007 one of the seven wonders of the world. Valladolid, a small colonial town in Yucatan, is perfectly situated for a visit in this breathtaking piece of Mexican culture as well as for the impressive pink lake “Las Coloradas”. For the small island you take the ferry to Chiquila and travel onwards with a bus to Tizimin. After a three-hour trip you get off the bus in Valladolid in which you can taste – again – great food, visit the cenote Zaci or just stroll through the beautiful city buying fresh vegetables for a nice, home-made dinner. From here you reach Chichen Itza within one hour by colectivo and with busses (you need to change in Tizimin) Las Coloradas for a day-trip. Tip: Don’t miss out on the great food at “Hierbabuena” and jump ten meters deep in the cenote zaci. After checking out the last city on our trip the ocean was calling. And how does this work best? Correcto, with the bus. For the next days: Hola Tulum! Turquoise water, mayan ruins, tacos, tacos and tacos (one better than the other). Cycling to the beach, hopping in the water to snorkel – could it be any better? 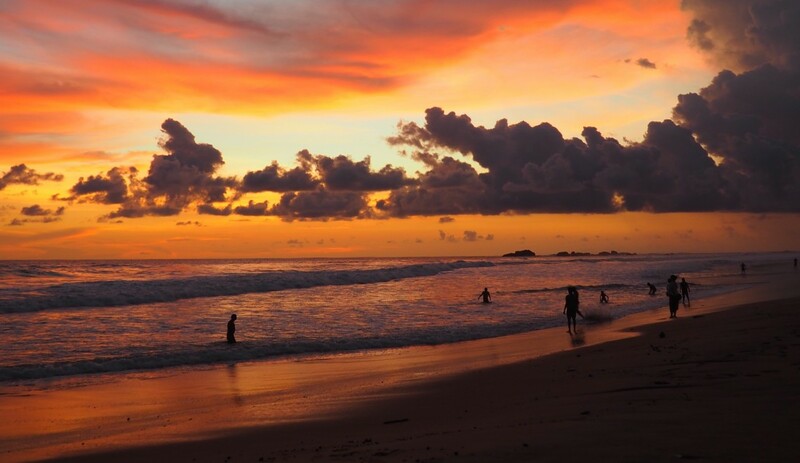 Tulum is the perfect place to relax and a great last stop of wonderful trip through Mexico. Tip: Definitely visit “Taqueria La Eufemia” at the beach! At the main fork (coming from the town) keep right. Pass the shops and stop for the best tacos you can a imagine, a chilled beer with an incredible view. We never stayed more than one night in Cancun and used it just as connection point for our onwards travels. Here, our trip through Mexico also ended and we flew to Nicaragua. In case you travel to Mexico but you do not have six weeks time as we did, we bundled great stops in our two and three weeks travel route for Mexico. All inhabitants of countries that have been part of the “Schengen Agreement” (UK, USA, Canada, Germany, Japan) neither need a visa nor any special documents. Inhabitants of all these countries can enter Mexico for 180 days. In the plane you will receive a tourist card, the FMM (Forma Migratoria Multiple)where you need to fill out all details. This document and a at least six months valid passport is needed to enter the country. Also you need the FMM to leave the country again, so better don’t lose it. Also have an wye on the date added from the official at the border. In case that’s missing it can lead to misunderstandings as well. As soon as you start researching the country you stumble upon horror stories of drug wars, executions and other bad stories where people get killed. And it is true Mexico has a very high homicide rate. But, there is a big but! As a tourist you will not be involved in drug and cartel related activities so you will not be confronted by that. Due to the fact that gangs and villains are also present in cities you will visit you definitely need some common sense to stay safe. We had a great time and felt safe the entire time. The security standards are definitely higher, which is a reason you feel safe on the average day travelling through Mexico. We personally had just encountered one dodgy situation where we ran into a fully tattooed gang hanging on the street and obviously talking about us. We didn’t make eye contact ignored them and walked to the beach. But other than that – once again – we felt safe while Backpacking in Mexico! In every bigger city there are districts that aren’t entirely safe. In Mexico the same applies. Tip: Inform yourself upfront which districts are good and which would be wiser to avoid. Unfortunately, Mexico has a huge corruption problem. In general we have heard from locals, Policemen are not there to help. They get paid so badly that they are basically forced to misuse their power. Never take photos from policemen or police stations and maintain a low profile. Robberies mainly happen when it’s dark. Ideally you are not strolling through the city when it’s pitch dark and rather take a taxi. Always have an eye on your belongings. And most of all: Carry the most important documents (or at least a copy) on your body. If you travel with expensive equipment, observe who is surrounding you. Also while taking photos. On the street it is forbidden to drink alcohol. The penalizations in case you contravened are harsh so do yourself a favor and refrain doing so. Even we Germans managed to not drink alcohol in public. In the unlikely event of a robbery or similar, don’t put up resistance. If you are forced, don’t bargain or try to trick. Just hand out everything the robbers want to you. These people are extremely desperate and will not argue with you. If you follow their instructions nothing will happen and they will leave quickly. We stayed in Mexico from January to March and have been really lucky with the time of the year. The weather was great, neither too hot nor too cold and we hardly saw any clouds. During the European winter Mexico will welcome you with a lot of sun and almost no clouds. In this time of the year it’s dry season in Mexico so you will hardly see any rain. On the contrary, if you travel between May and October you will face more rain and thunderstorms as you are visiting Mexico during rainy season. If you do not mind some rain and bad weather this time can also be considered as ideal as the prices drop and the crowds are gone. Please also think of the hurricanes that might come up during this time of the year, even though they are mainly present in September and October. While the North West has a desert-like feel, the North can get pretty cold in the winter, the East Coast reminds more of the tropics. Locals tend to favor the months December and January and preferably spend them in the East of the country. 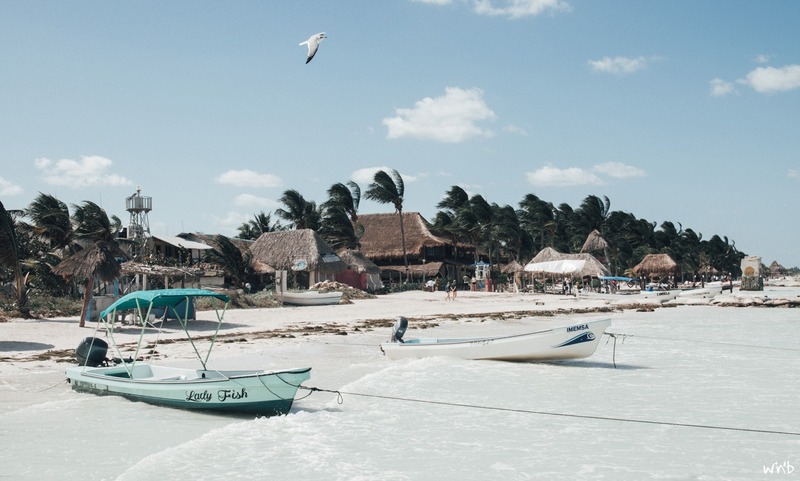 Gazillion’s of Americans come during the Spring Break season to Quintana Roo where prices surge and accommodations need to be book in advance. The way of transport in such a big country is from great importance as you can tell. The infrastructure of the country is comparatively well and makes coming from A to B quite easy. In contrast to Sri Lanka you will not spend a lot of time in trains but rather sit in busses to get to the next beautiful city. Trains aren’t widely-spread in Mexico and rarely used. Since 1990 the train system is almost non existent anymore and only two train connections are operating. One of them passes through the mountains and is known as “Copper Gulch” and the other one is called “Tequila Express” and ends in the city of Tequila. Busses leave literally everywhere. The bus system is very good and the value for money even better. When booking tickets for longer distances you normally can choose between a bus that drives during the day and a night bus. In most of the cities you will find the bus station, the so called “Terminal de Autobuses”, just beside the city centre. Here normally all busses you need to be aware of leave. Generally speaking you can separate busses in three categories: Ejecutivos, Primeras and Economicos. Ejecutivos operate between Mexico’s biggest cities. In these modern, mostly better than German (or so) busses you have enough legroom, a selection of movies, comfortable chairs and you receive a free water when entering the bus. Primeras are first class busses but one class “below” the above mentioned ‘Ejecutivos’. They are almost as comfy but you have a couple of centimetres less legroom and the booking doesn’t include an entertainment package (which is mostly Spanish anyway). For both options it is possible to book tickets in advance. Economicos – also called local busses – are second class busses, which often stop in smaller villages. 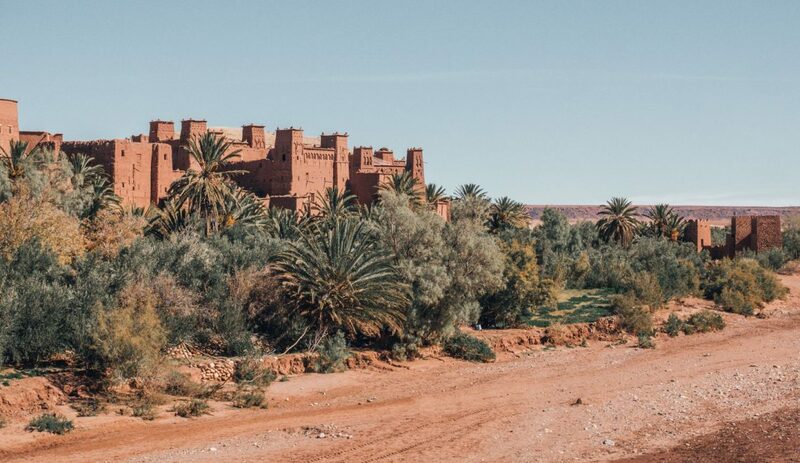 Through this longer distances are weary but you meet locals you can share your last travel experiences with and get helpful tips for your onwards journey, if you speak Spanish. You pay at the bus driver directly and reservations are not possible. Tip: We mainly drove with busses from the company ADO for longer trips. An alternative to ADO is the bus company OCC where you can book online tickets as well. Collectivos are mini vans that are, especially in more touristy areas, widely spread. They operate with a hop-on and hop-off principle so that you can join the ride everywhere they stop and pay in the end for the way you drove. For short distances extremely handy. In Mexico City and Cancun you can order an Uber driver at every corner. While reserving the closest driver you can already see who is going to pick you up. The name, the car plate and the star rating is displayed and normally you wait for a minute or two and jump in the car. Especially in Mexico City Ubers are ridiculously cheap so that we used Uber several times a day to get from A to B. As drivers are tracked with GPS Uber is the safest matter of transport you can find. Not really expensive but still tiny bit more expensive than Uber are taxis in Mexico. Here you should be a bit more careful especially while stopping a taxi driver on the street. These rides are considered to be not very safe for tourists, especially not when you carry around baggage or during night. If you take a taxi, make sure the taxameter is switched on. Tip: Don’t hail a taxi, just get on in designated areas. Alternatively you can order a taxi at your hostel or hotel reception. Leaving the Yucatan peninsula to, for example, to Isla Holbox (LINK ISLA HOLBOX) you will take a ferry from Chiquila. Also you can take ferries from Playa del Carmen to Isla Mujeres and Cozumel. Mexico is an insanely big country, that’s why flying from A to B sometimes makes a lot more sense than taking the bus. On top, flights within Mexico are extremely cheap. Sometimes you end up paying just a few dollars more than taking a first class bus. We often flew with Viva Aerobus and Volaris, whereas the second airline company always had a great service. We encountered some payment problems in the booking process of Viva Aerobus and made some negative experience with their customer service. ➳ How to get from A to B in Mexico is an important topic. Here you can find a dedicated article on transportation in Mexico. Tacos, Enchiladas, Burritos – We miss the Mexican food! Almost everything comes with fresh vegetables like avocados and fresh herbs that bring a unique taste to the dish. And if you like spicy, Mexico is your heaven. The basis of a lot of dishes are Tortillas, which are either made from flour Tortillas de harina or from corn Tortillas de maíz. In general we prefer Tortillas de harina over the corn alternative but you definitely need to try both. That’s why we didn’t like Enchilads – deep-fried and rolled up Tacos – too much as they are made of Tortillas de maíz. In general you can say that Tortillas de harina are a bit bigger and softer. Limes are an essential part of the Mexican cuisine as well as beans (frijoles) and chili. Delicious. In the Mexican highlands more dishes consist of meat, whereas at the coast more fish is served. The North is influenced by the Texan kitchen and numerous dishes get combined. Through this chilis, spicy herbs, meat and beans get served together, often in one meal. Some hip restaurants offer a delicious and more healthy alternative to conventional soft drinks, the widely-spread Agua del dia. For this drink fresh fruits are put in water and make a refreshing drink after a while. You will find many options to stay in Mexico. 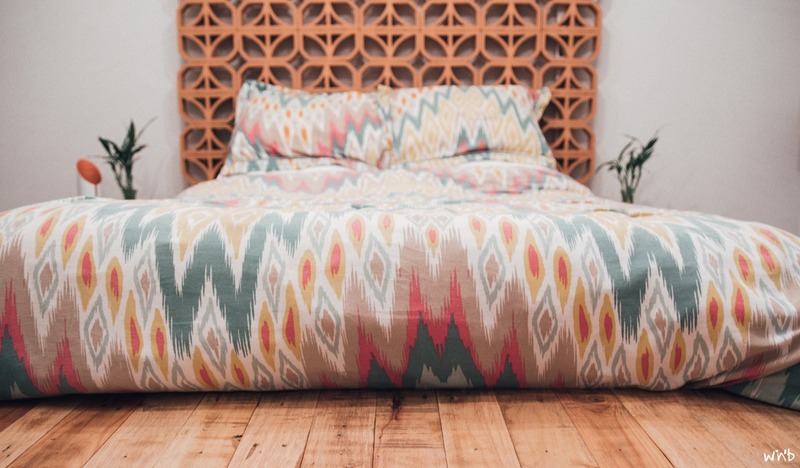 In lively cities you can find great AirBnB’s beside hostels and hotels. We did the same in Mexico City, San Cristobal and Tulum and met great hosts and had a constantly positive experience. AirBnB can often be a great and cheap alternative and should be considered for sure. In every stop we found a huge number of accommodations just experiences little vacancies on Isla Holbox. Dorm room: Around $12 p.P. Compared to Asia Mexico is a quite expensive country to travel to. One thing for sure: You get something for your money. Rooms are clean, mattresses are comfortable and hot water showers are standard. So a better bang for the buck! Tip: Yucatan and Quintana Roo are comparatively expensive. Here you will pay factor 1.5 more as in the rest of the country. Also have an eye on high season, prices can surge in this time. 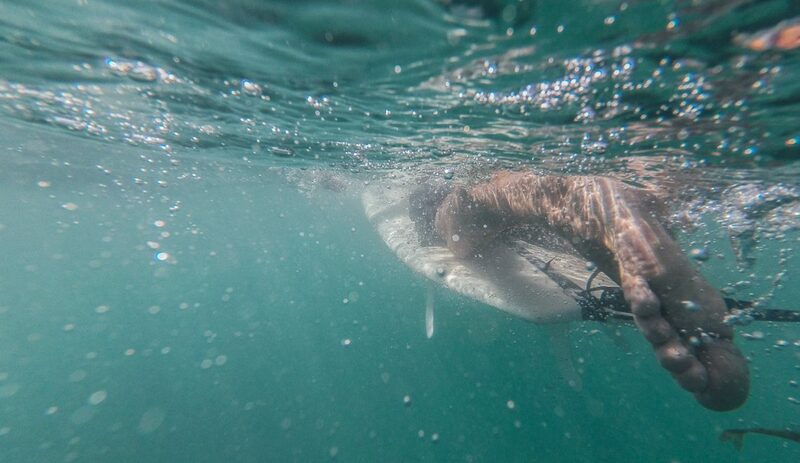 What would be backpacking in Mexico without surfing? Correct! Just half as good. Surfing in Mexico is incredible. The pacific coast is considered to be a surf mecca and attracts surfers from all over the world. We have been in Puerto Escondido and fell in love with the place. The sandy road in the area of “La Punta” with all its bars, restaurants and surf shops spreat a very special vibe. Waves roll in and in and surfer in different levels can find a challenge. 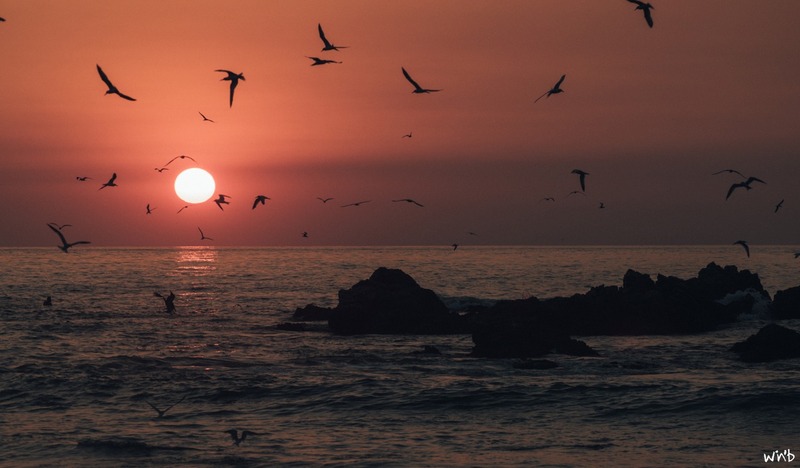 When the sun sinks in the Pacific Ocean, fishermen come out to catch fish and make a breathtaking photo subject. Mexico is a country of the beautiful Spanish language. It is definitely helpful to learn some Spanish phrases and being able to communicate in Spanish is incredibly handy. If not, you will be able to communicate with gestures, of course, but don’t expect to speak any English. Especially on a longer trip it makes a lot of sense to own a local SIM card. They aren’t as dirt cheap as we have been used from Sri Lanka and other Asian countries and we ended up paying $65 for 6 weeks of data with Telcel. With this card you can also do free phone calls to the US, Canada and Mexico. Tip: Just go to a Telcel store and have a look at all the possibilities. Have an eye on how long the card is valid for. So, now you are prepared for your trip. Pack your stuff and have an awesome time in this incredibly beautiful and diverse country. Did we forget something? Please leave a comment! ➳ You are searching for some more tips and infos how to prepare for your backpacking trip? ➳ You are traveling to Mexico and still not sure which stops not to miss? Have a look at our Mexico Travel Route! 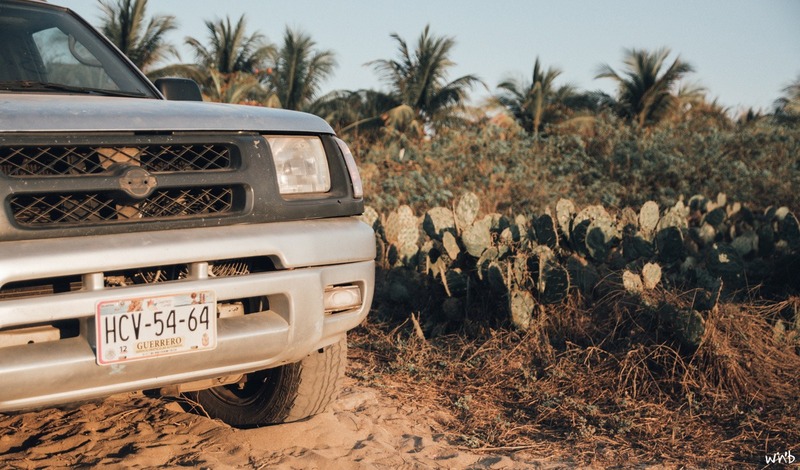 ➳ Eager to find the best transport in Mexico? ➳ You want to go surfing in Mexico? Then head over to Puerto Escondido! 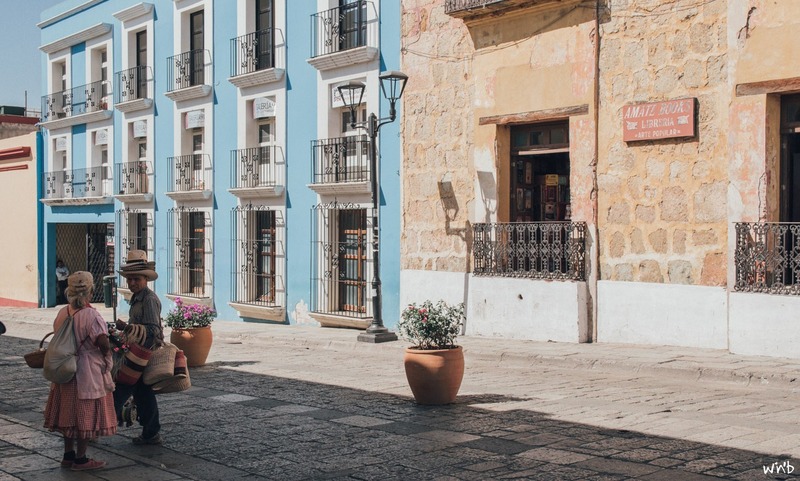 ➳ Mexico’s capital calling or are you about to leave to the pyramids of Mexico City? 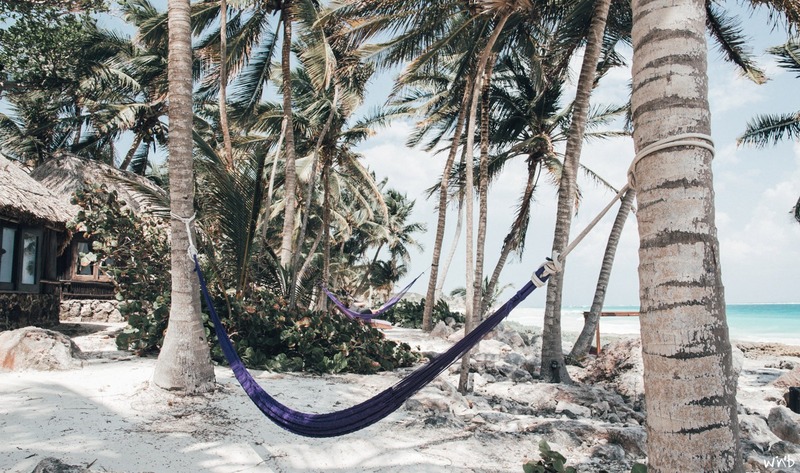 ➳ Last but not least some relaxation on Isla Holbox? Definitely worth a visit! Thank you for this nice travel story and useful information. I only would like to share my experience with Puerto Escondido. We found La Punta Zicatela to be a bit dodgy at night times, many people were arrested on the beaches in December. We moved to Bacocho where you find the less touristic side of town with nice beaches and cheap food. And there’s a local market which offers juices and great food.